Corns are areas of thickened skin that usually occur on the feet. They tend to develop in areas that experience excessive pressure and are one of the body's natural defenses against high pressure. However, if a corn grows too large, the body will not recognize it as part of the body and will begin to attack it as a foreign growth. When this happens, corns become painful and infected. Remedies such as corn plasters do not distinguish between healthy skin and corns, so they can be quite dangerous. You should also refrain from cutting your corns as this can result in serious bleeding and scarring. The best way to relieve corn pain is to treat it naturally and remove the source of pressure. This may mean buying new shoes or not wearing high heels as often. In this article, we will discuss how to treat corns with lemons so that they will become less inflamed and even disappear. 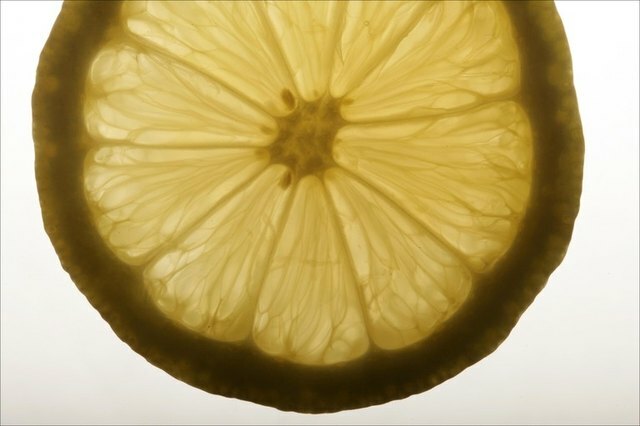 Cut a thin slice of lemon. You can do this by cutting the lemon in quarters, then cutting a flat piece off of one side of one quarter. Wrap the lemon around the corn. It should cover the entire corn and will probably also touch part of the unaffected area of your toe or foot. Wrap the tape around the lemon and your foot. The tape should not cut of your circulation but it should hold the lemon slice firmly in place. Cover the entire lemon slice so that the juice does not ooze out. Leave the lemon taped to your foot overnight. If you wish you can wear a sock over your foot to prevent the tape from slipping. Wash off the lemon treatment. Gently wash the area containing the corn with warm water to remove the lemon juice. Your foot should feel less painful and over time, with proper changes to foot attire, you will see the corn diminish and even disappear.